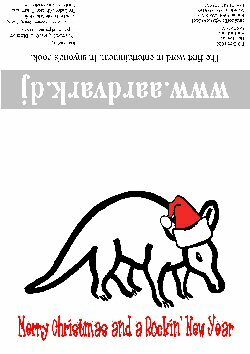 I've spent this evening designing a Xmas card for the business. I think I've done reasonably well, but I'm having one minor problem. Click for full size - but it's a huge file. The text at the bottom of the back of the card (the bottom of the big image) appears very pixelated and there's nothing I can do about it. If I anti-alias the text it becomes very fuzzy. Anyone offer some advice? I'm using paintshop pro 8.